Chainsaw Questions? Here The Best Awesome Answer! This page will help answer your chainsaw questions. You may need to use a chainsaw from time to time. … Scan recent common Chainsaw questions and find answers to your detailed and specific topics. If you find you can’t answer the majority of questions, then you need to comments our related post page or shoot an email by contact page. You might also find the help you need by checking now & then. The origin is debated, but the first chainsaw was probably made around 1830 by the German orthopaedist Bernard Heine. Two important contributors to the modern chainsaw are Joseph Buford Cox and Andreas Stihl; the latter patented and developed a chainsaw in 1926 and a gasoline-powered chainsaw in 1929, and founded a company to mass-produce them. In 1927. Chainsaw licence how to get one? In USA: Not quite 100% on this. You don’t have to be licensed to use one, BUT it’s a very good idea to look into some kind of training. You might try checking with local government agencies such as city parks and rec or forestry, or state parks, Dept of Nat. Resources, etc. What is the best chainsaw to buy ? It would be a Husqvarna, they are a little more expensive but worth it. Chainsaw for an old lady? Lightweight electric chainsaws is better as no maintenance. Easy to use. Can you give me advice about chainsaw purchasing? There are a lot of good brands of saws out there. You can get many types depending on your needs. There are a variety of sizes which you will have to match to the size of the MAXIMUM tree your family member will cut. How to start my chainsaw.? Push the ignition, choke button all the way down, you will have to hold the trigger down when doing this. Place on floor place foot inside the handle loop and pull rope until the saw starts, then move the ignition, choke button up one click and you should be good to go. How tight chain tension on chainsaw should it be? Pinch the chain between your fingers at the center of the bar, you should be able to lift it comfortably to show approx. half the depth of the chain guide, you should also be able to move the chain along the bar without much resistance. What Chainsaw bar oil can I use? The two cycle stuff is for lubricating a gas motor. Bar oil is to lubricate the cutting chain. If you can’t find bar and chain oil, I recommend SAE30 for summer, SAE10 for winter. What are the most common reasons a chainsaw won’t cut? The chain could be on the wrong way around. The bar may be bent/warped. The chain could be improperly sharpened. The bar nose could have been pinched on a previous cut. The drive sprocket is so badly worn that it can’t effectively drive the chain. The chain itself could have been damaged if the chain came off… check the drive tangs, file flat if necessary. What oil do I use for this electric chain saw? The most Owner’s Manual for this unit recommends SAE 30-weight motor oil most of the time. If the temperature is below 30 degrees F, use SAE 10-weight motor oil. For temperatures above 75 degrees F, use SAE 40-weight motor oil. 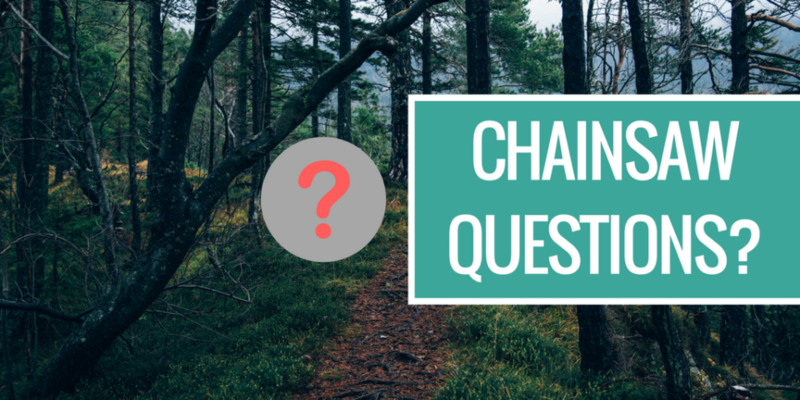 What is the International Association of Arboriculture (ISA)? The International Society of Arboriculture (ISA, for short) was founded in 1924 and has served the arboriculture industry for more than seventy years as a scientific and educational non-profit organization. ISA supports tree care worldwide and is dedicated to the care and preservation of trees. This organization remains a dynamic medium through which arborists from around the world share their experiences and knowledge for the benefit of society. Aligned on many fronts with other environmental organizations, ISA is working hard to promote a better understanding of trees and tree care through research and education professionals, as well as global efforts to inform consumers about care of trees. How I can know if an arborist certified by the ISA? On the website of the ISA at the following link: http://www.isa-arbor.com/faca/findArborist.aspx you can search by name, card number or locality and thus verify the credentials presented to you or failing a certified arborist look for in your area.